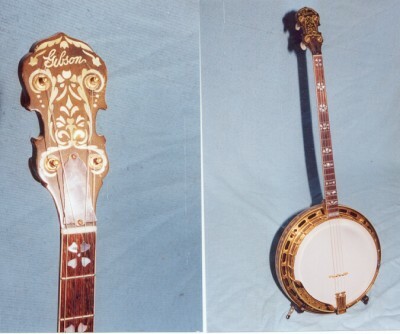 Along with the Florentine, the Bella Voce was the first of three carved, custom built Gibson's. Introduced in 1927, it quickly became a favorite of players of the day. 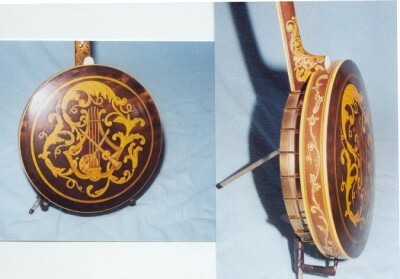 The name is an Italian phrase meaning "Beautiful Voice". 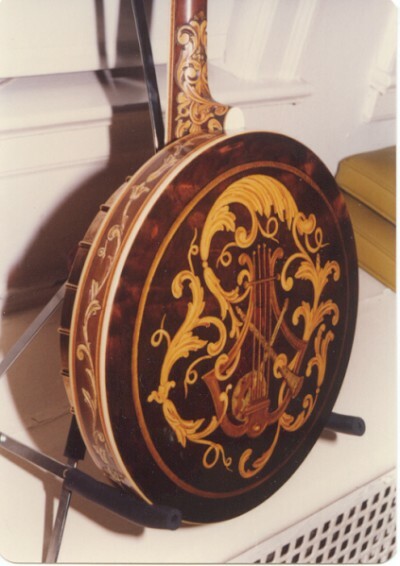 It was available in four different woods, and many different wood or veneer bindings. It's beautiful Spanish floral design alluded to the Goddess of the Muse. Unfortunately it was a short lived model, being replaced around 1930 with the All American. 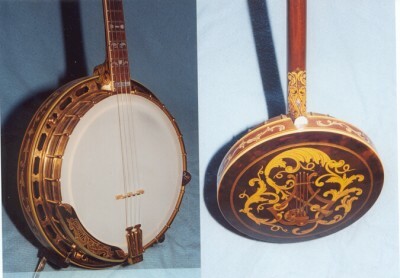 The banjo pictured here is constructed of Brazilian Rosewood and it's S/N of 8965-1 was probably made around 1929. Due to it's short production life, very few have survived in original condition.